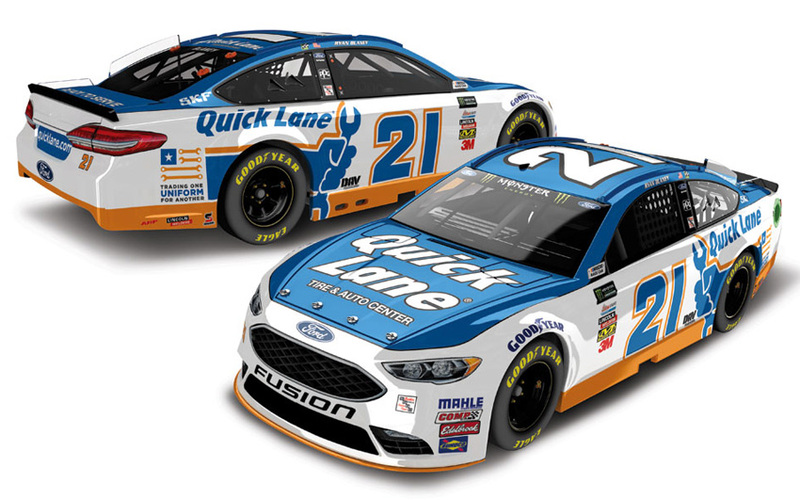 2017 Ryan Blaney #21 Quick Lane / Ford Fusion NASCAR diecast, by Action. 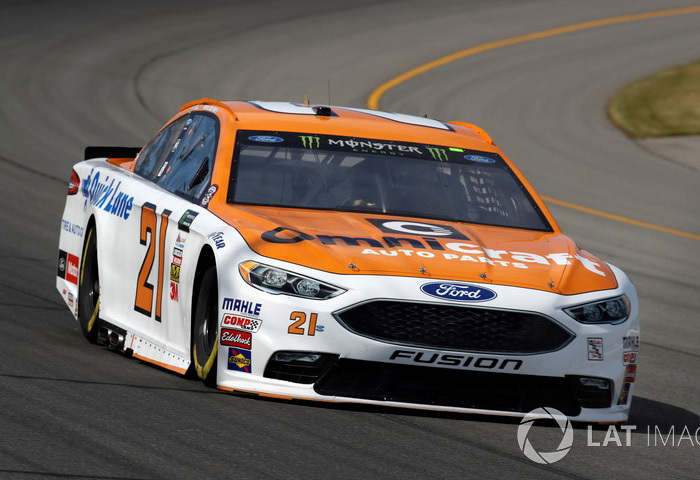 The Wood Brothers #21 Quick Lane Ford was raced by Ryan Blaney in the Monster Energy NASCAR Cup race at Indianapolis Motor Speedway on 7/23 and Talladega Superspeedway on 10/15/17. 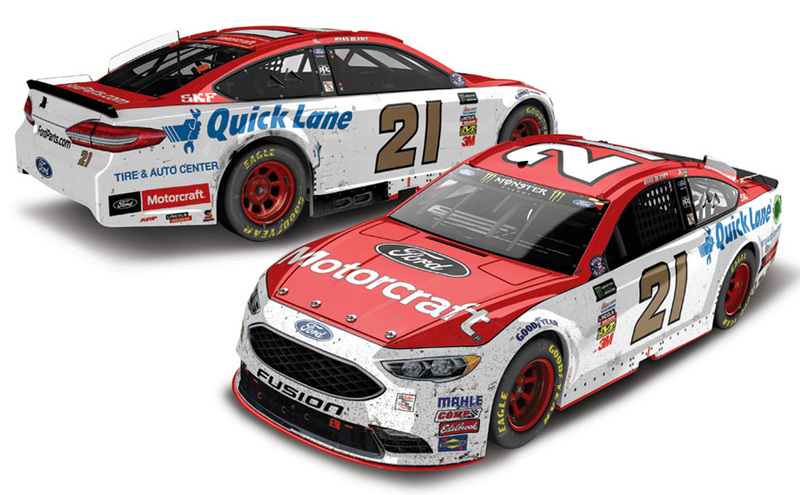 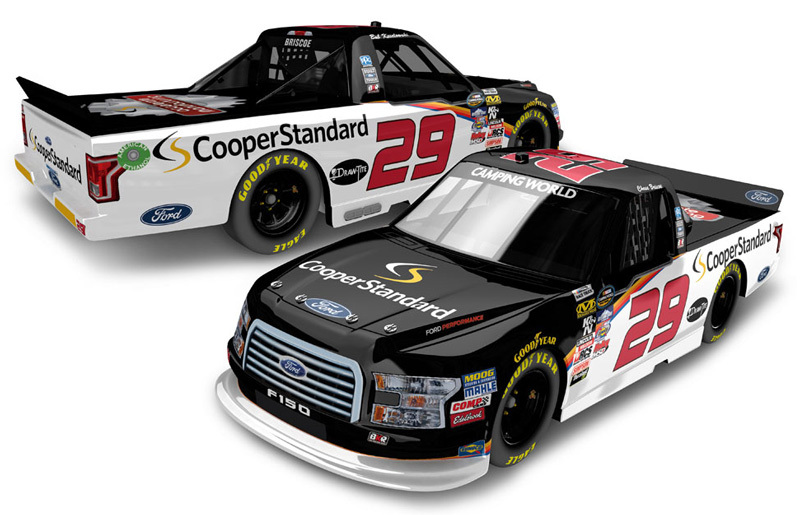 2017 Ryan Blaney #21 Motorcraft / Pocono Win / Raced Version / Ford Fusion NASCAR diecast, by Action. 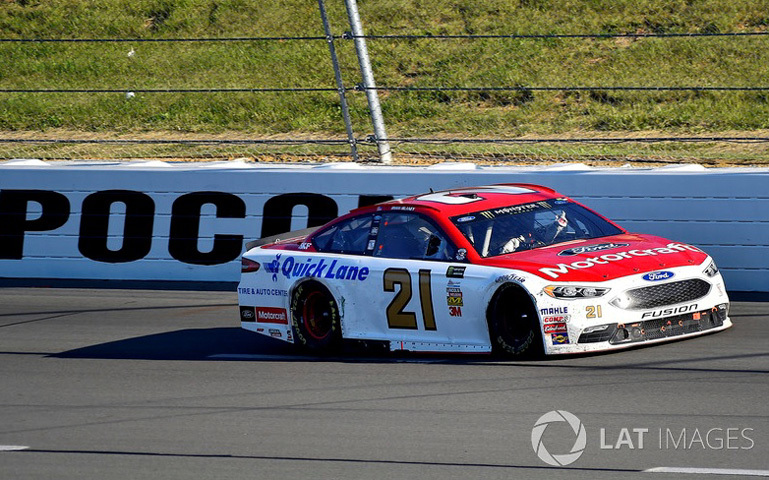 Ryan Blaney raced this The Wood Brothers #21 Motorcraft Ford to victory in the Monster Energy NASCAR Cup, Axalta Pocono 400 at Pocono Raceway on June 11, 2017. 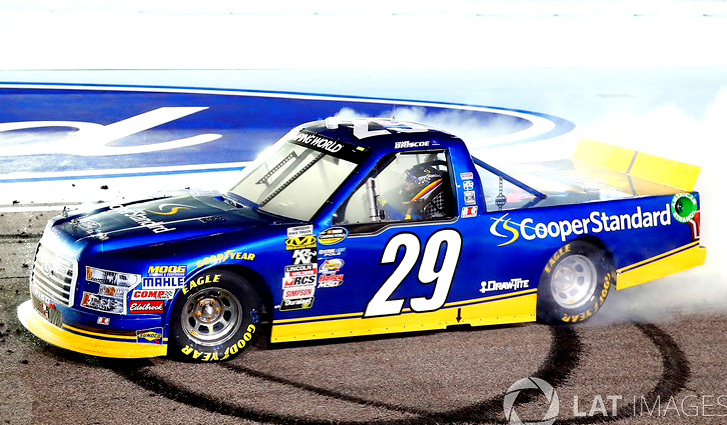 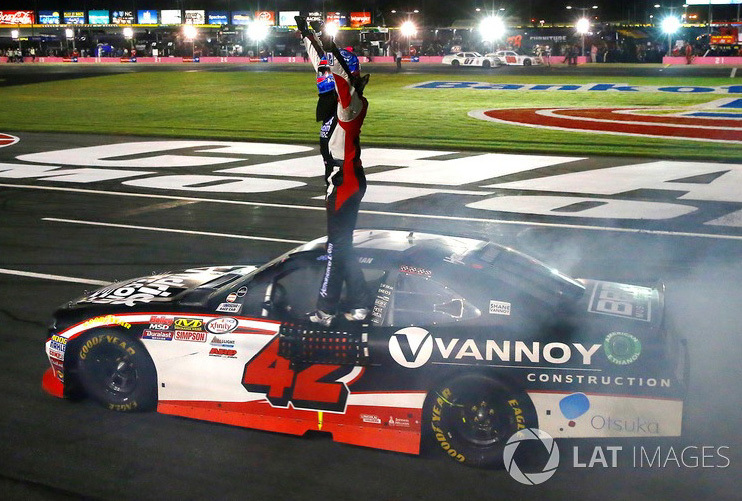 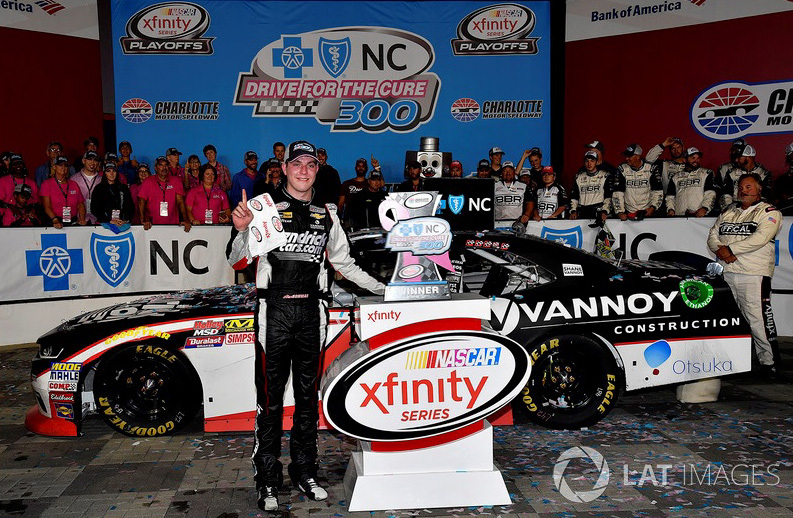 This was Ryan Blaney's 1st Monster Energy NASCAR Cup win. 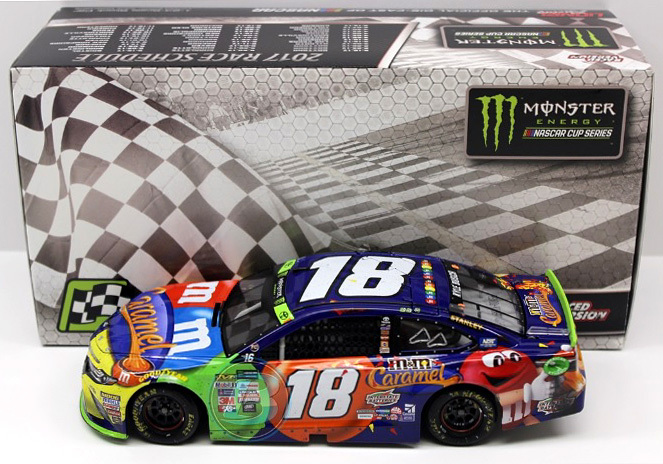 This diecast car comes with an official, actual size race winner decal. 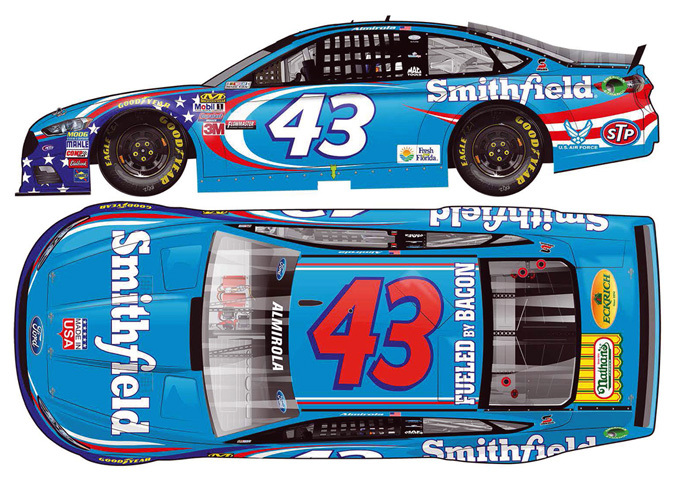 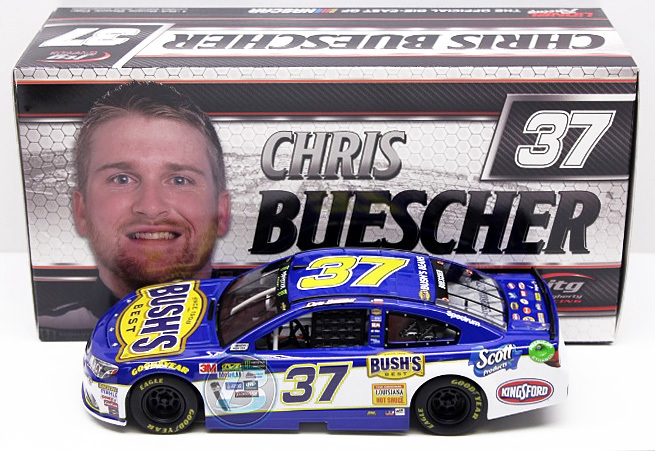 2017 Chris Buescher #37 BUSH’S Beans Chevrolet SS NASCAR diecast, by Action. The JTG Daugherty Racing #37 BUSH’S Beans Chevrolet SS was raced by Chris Buescher in multiple races during the 2017 Monster Energy NASCAR Cup season. 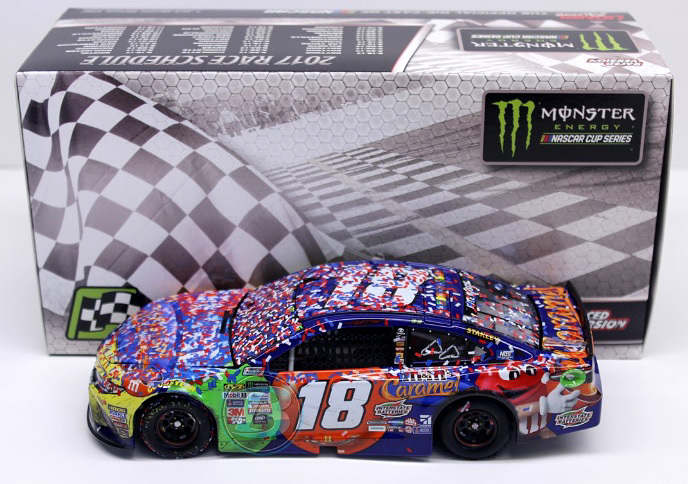 2017 Kyle Busch #18 Skittles Red, White & Blue / Toyota Camry NASCAR diecast, by Action. 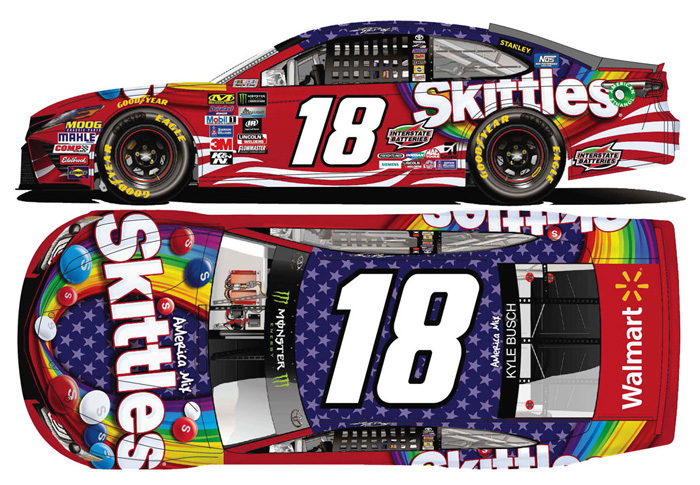 The Joe Gibbs Racing #18 Skittles Red, White & Blue Toyota was raced by Kyle Busch in the Monster Energy NASCAR Cup, GEICO 500 at Talladega Superspeedway on May 7, 2017. 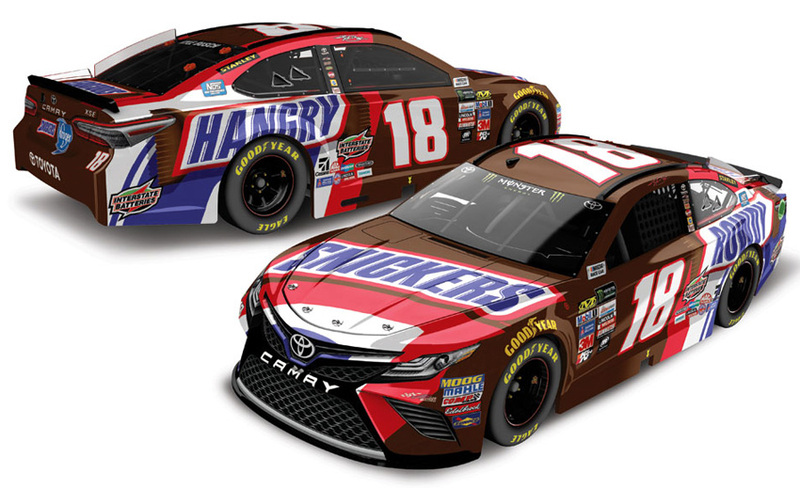 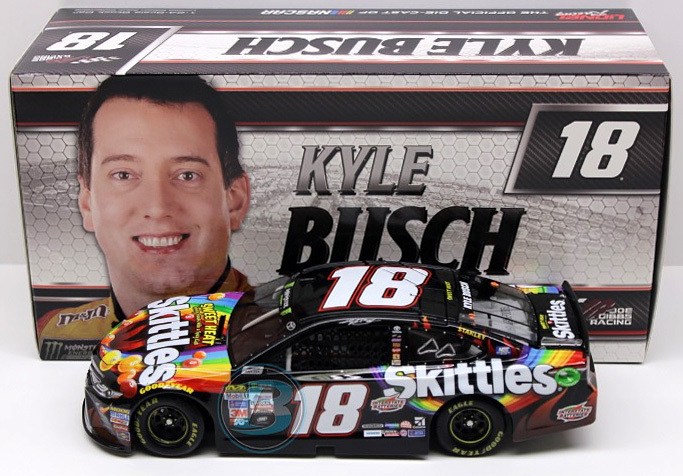 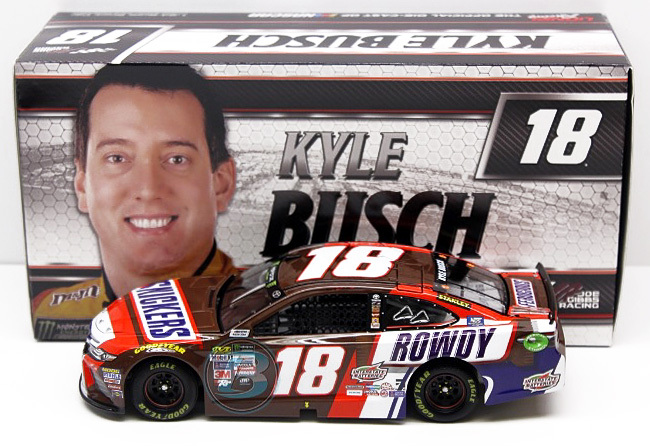 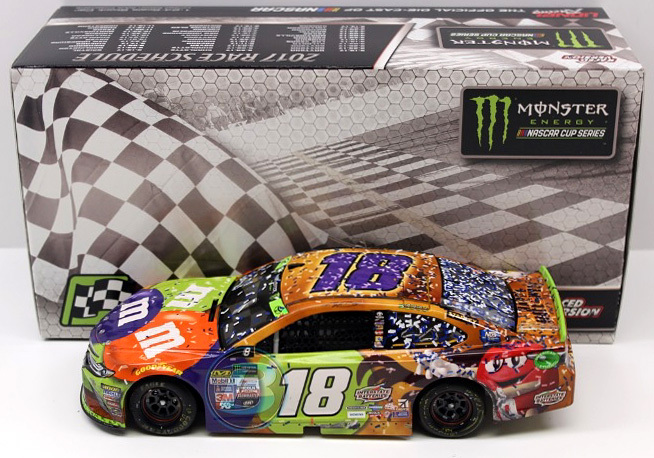 2017 Kyle Busch #18 Snickers / Toyota Camry NASCAR diecast, by Action. 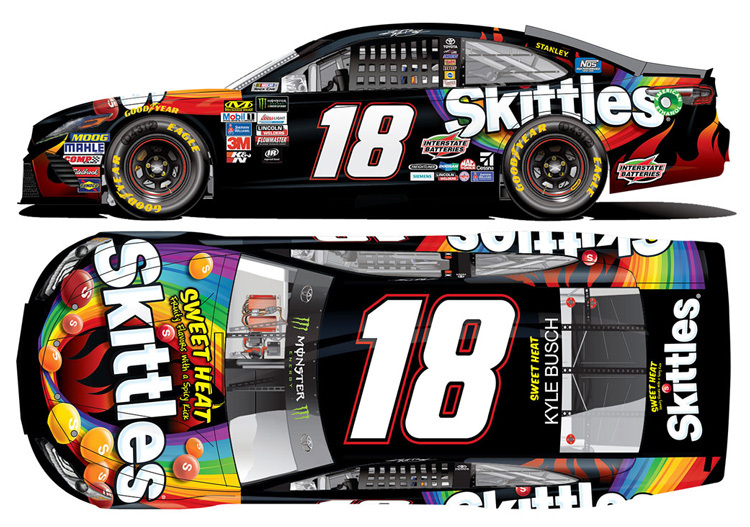 The Joe Gibbs Racing #18 Snickers Toyota was raced by Kyle Busch in the Monster Energy NASCAR Cup, Quaker State 400 at Kentucky Speedway on July 8, 2017. 2017 Kyle Busch #18 M&M's Halloween / Toyota Camry NASCAR diecast, by Action. 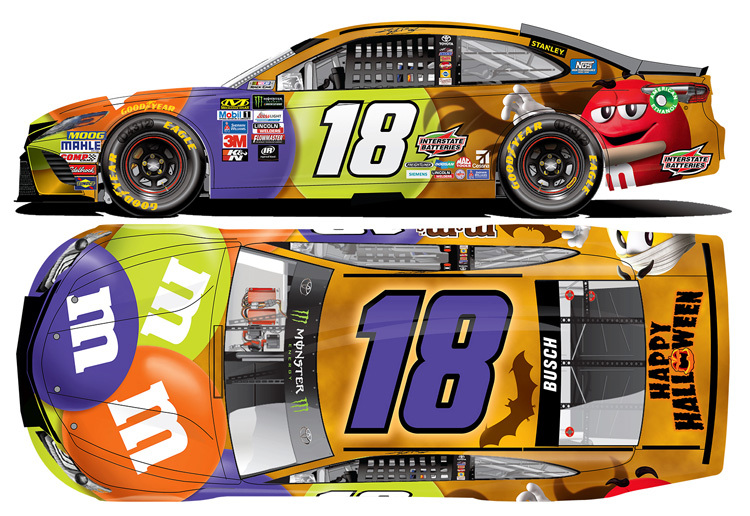 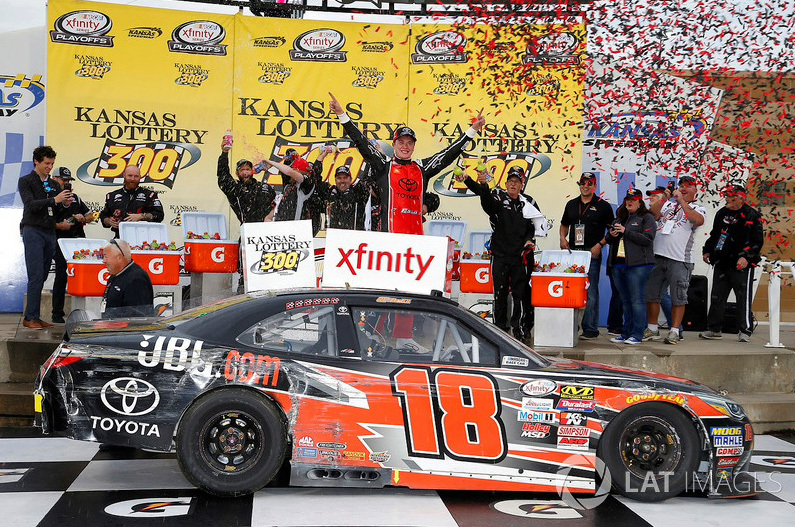 The Joe Gibbs Racing #18 M&M's Halloween Toyota was raced by Kyle Busch in the Monster Energy NASCAR Cup race at Kansas Speedway on 10/22 and Martinsville Speedway on 10/29/17. 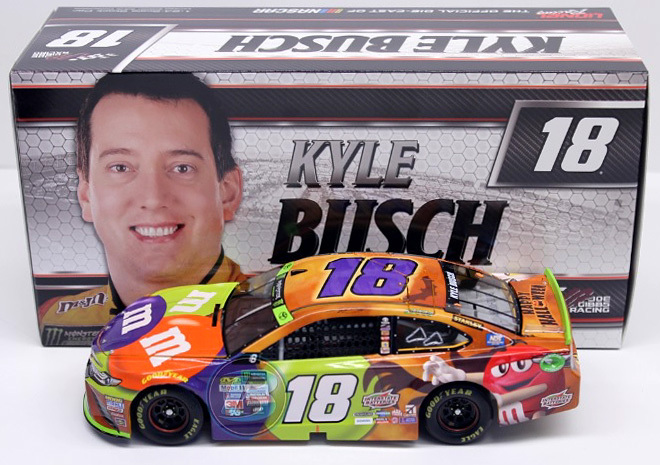 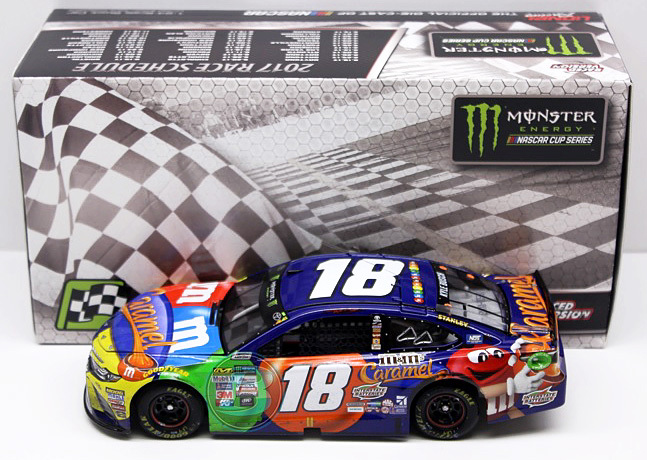 2017 Kyle Busch #18 M&M's Caramel / NASCAR All-Star Win / Raced Version / Toyota Camry NASCAR diecast, by Action. 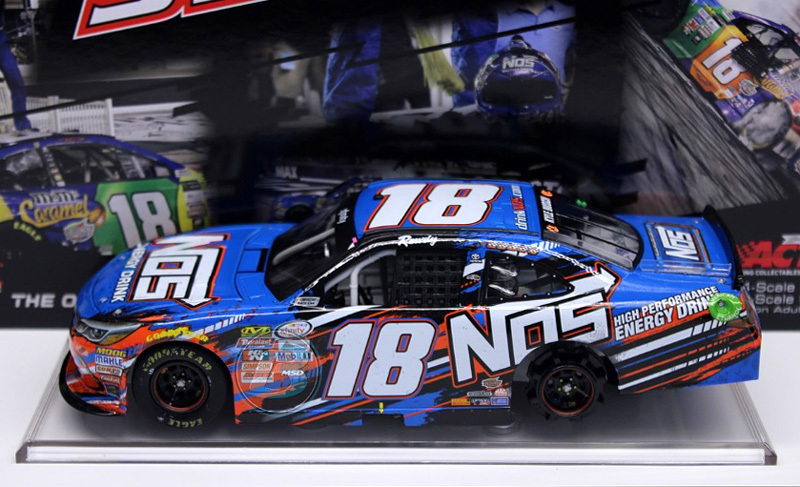 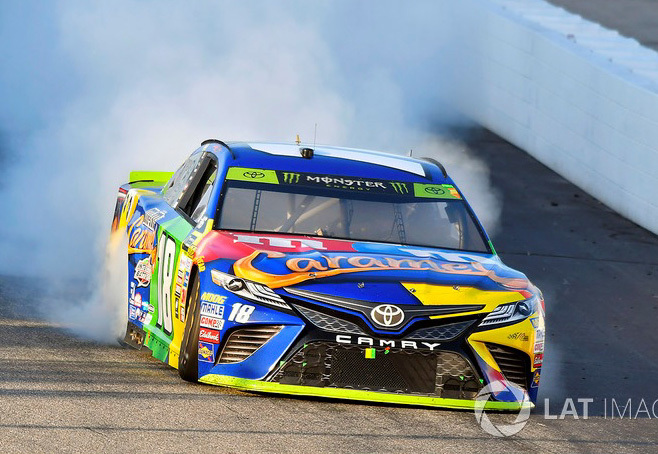 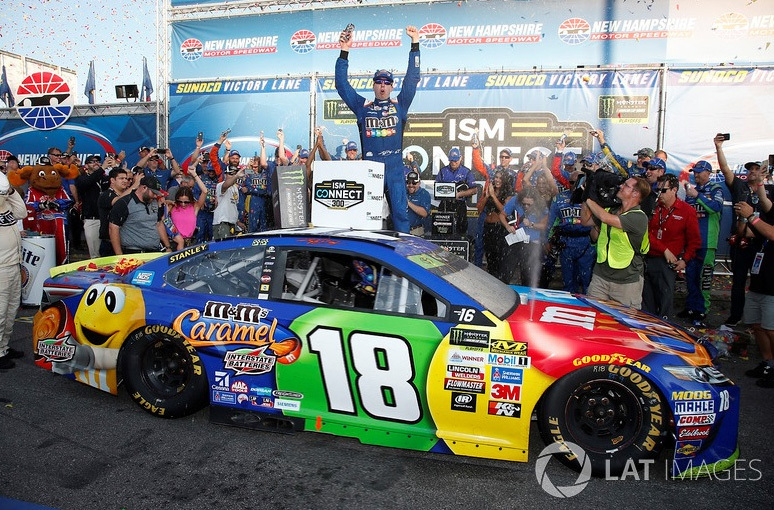 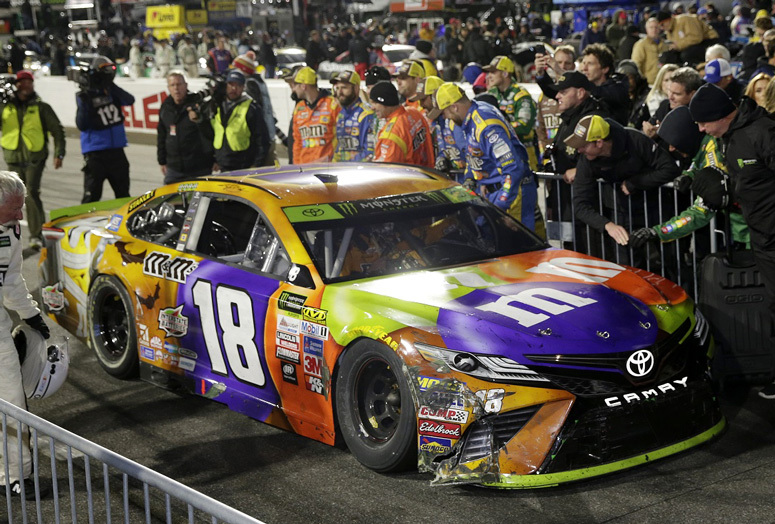 Kyle Busch raced this Joe Gibbs Racing #18 M&M's Caramel Toyota to victory in the Monster Energy NASCAR Cup All-Star Race at Charlotte Motor Speedway on May 20, 2017. 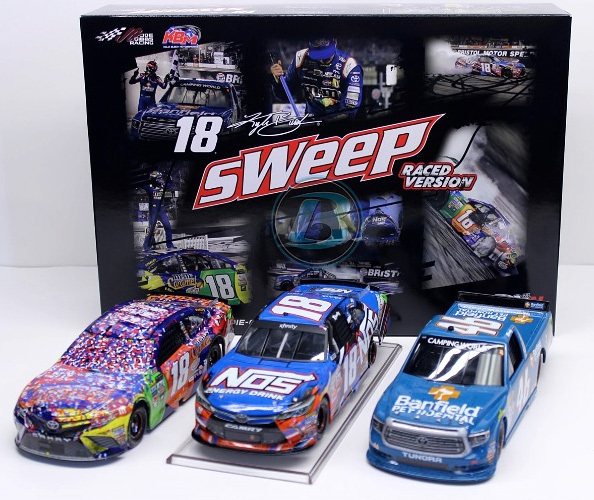 2017 Kyle Busch 3-Car Bristol Sweep / Raced Version / NASCAR diecast set, by Action. 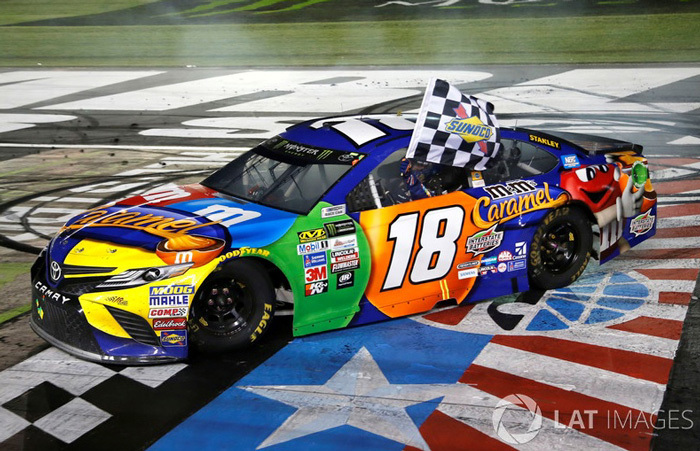 Kyle Busch sweeps the 2017 Bristol Night races for the 2nd time in NASCAR history by winning the NASCAR Camping World, xfinity Series and Monster Energy NASCAR Cup race. 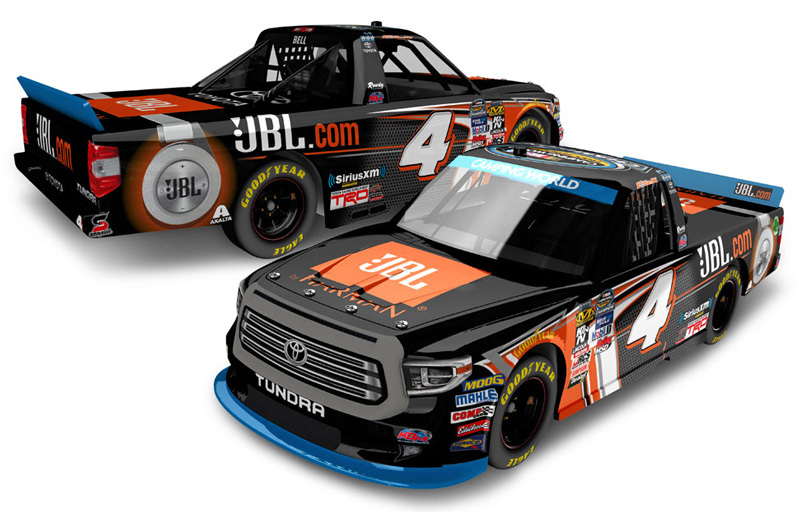 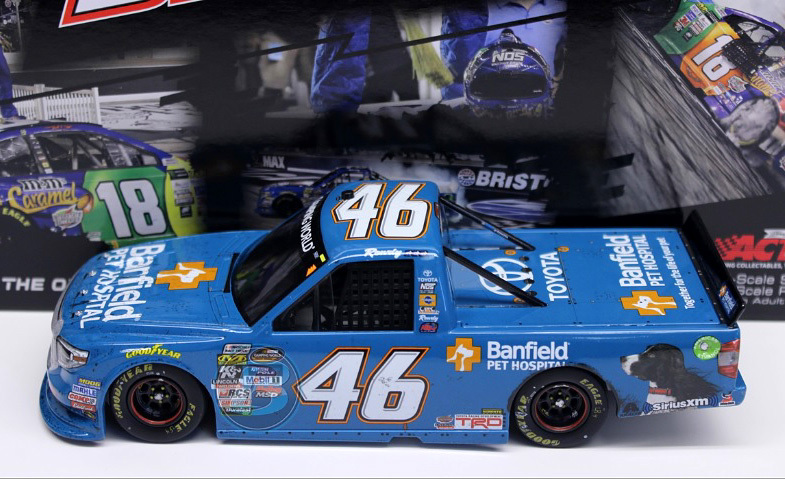 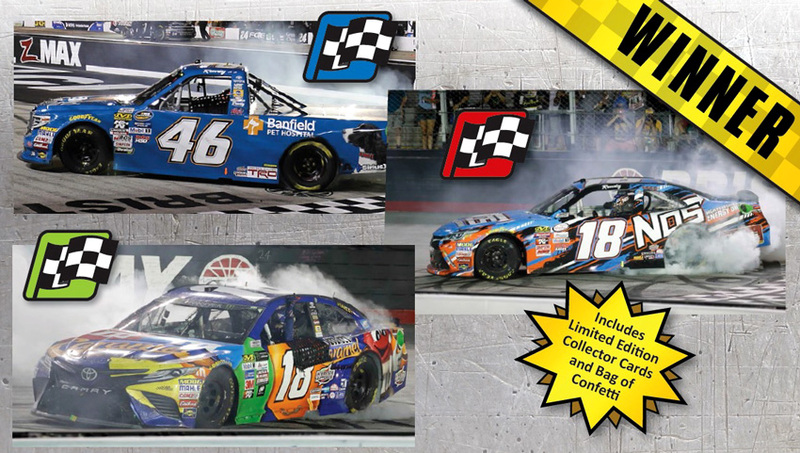 This set includes: #46 Banfield Pet Hospital Toyota Tundra Truck (Gold Seres HT) - #18 NOS Energy Toyota Camry (Gold Series HO) - #18 M&M's Caramel Toyota Camry (Platinum Series). 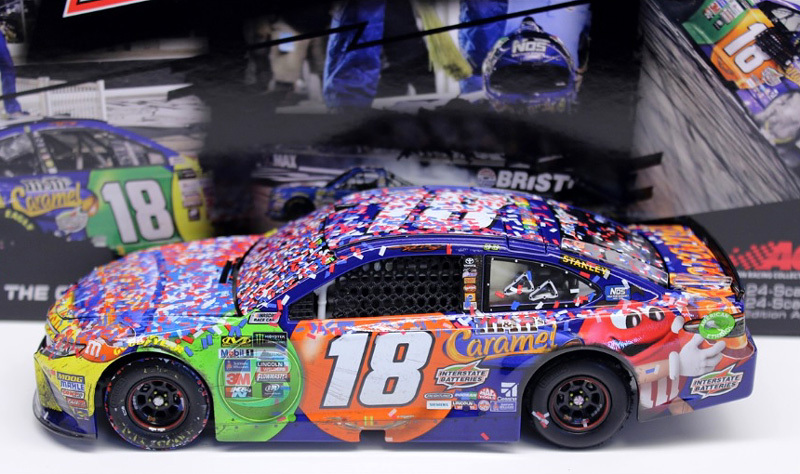 This diecast set comes with a bag of confetti from Victory Lane and official race winner decals for each series. 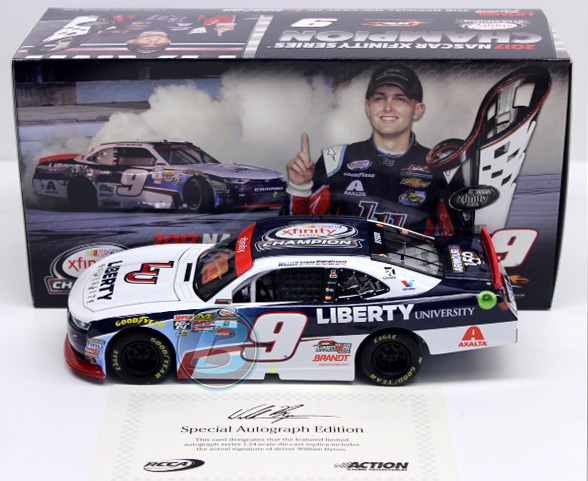 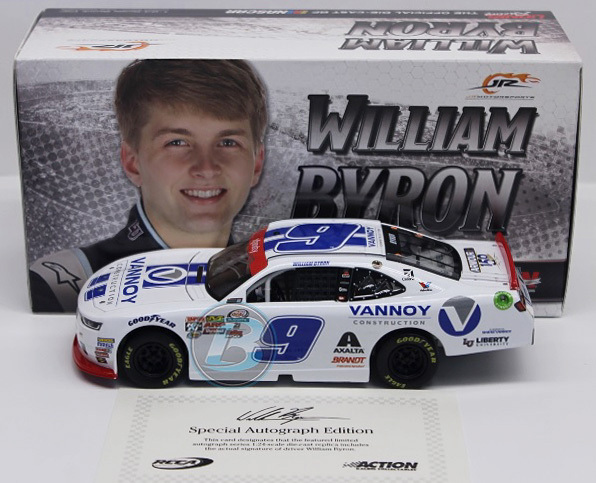 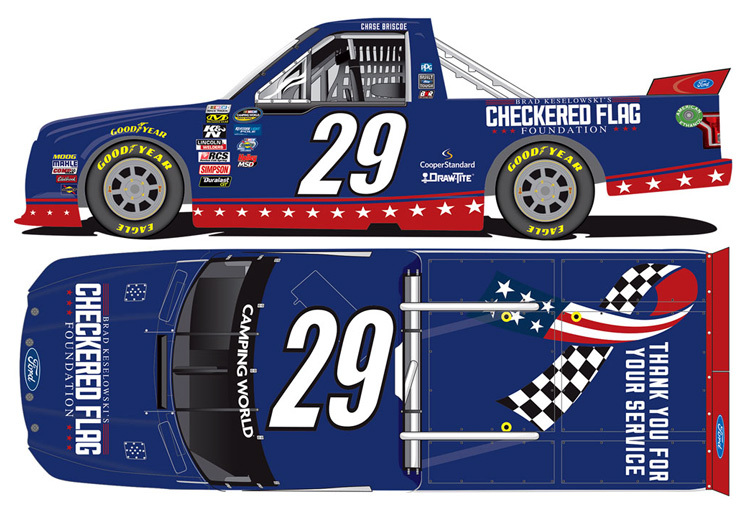 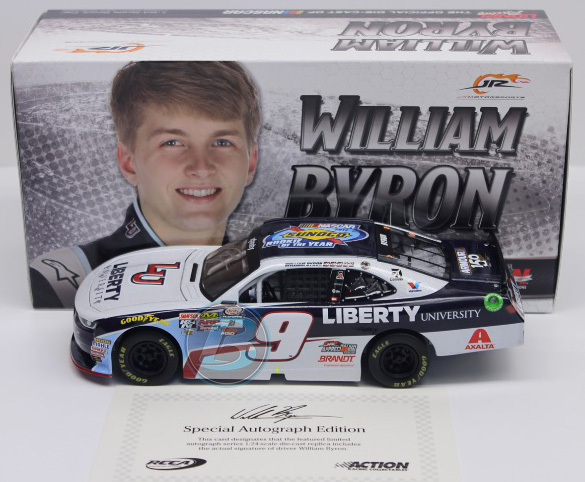 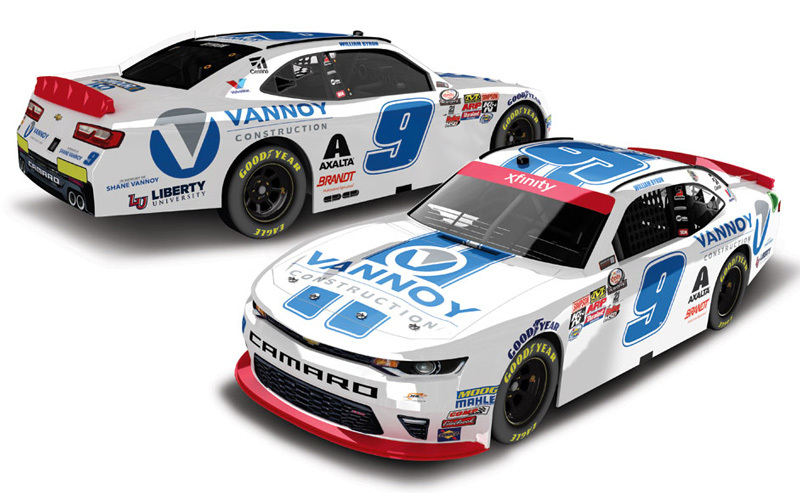 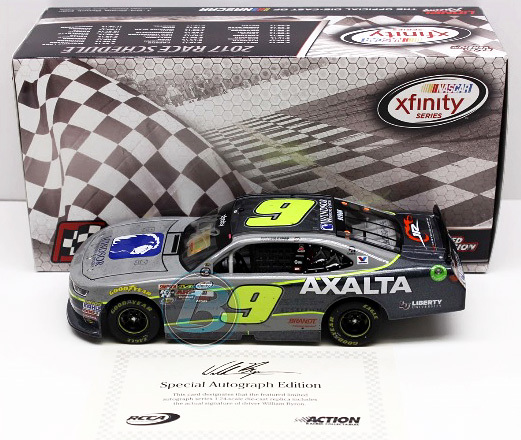 2017 William Byron #9 Liberty University / NASCAR xfinity Series Champ / Chevrolet Camaro NASCAR diecast, by Action. 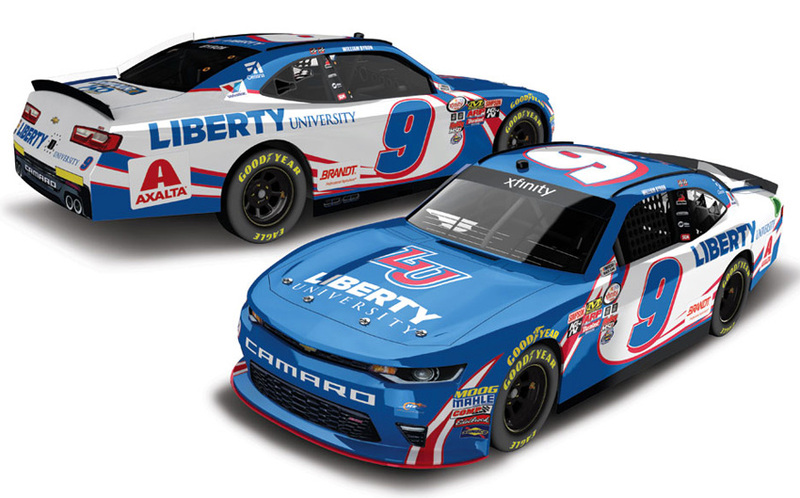 This #9 Liberty University diecast car features the 2017 NASCAR xfinity Series Championship logo on the roof. 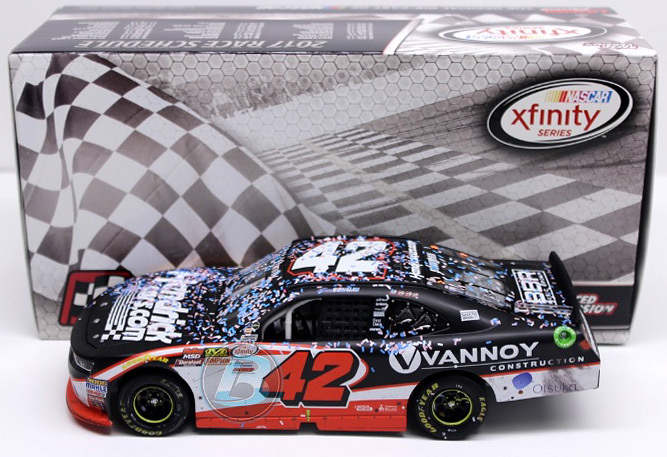 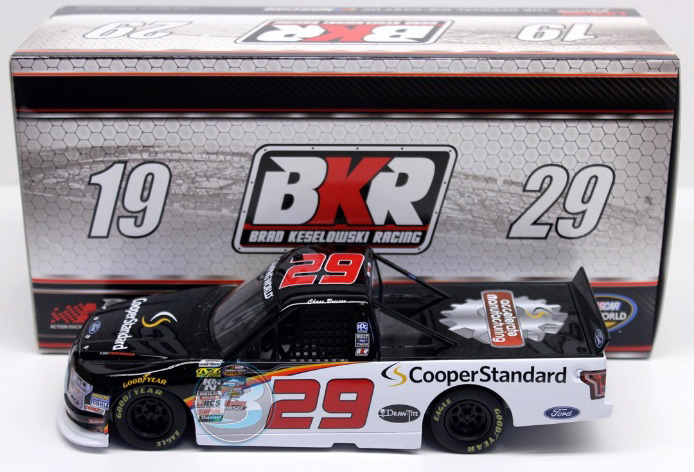 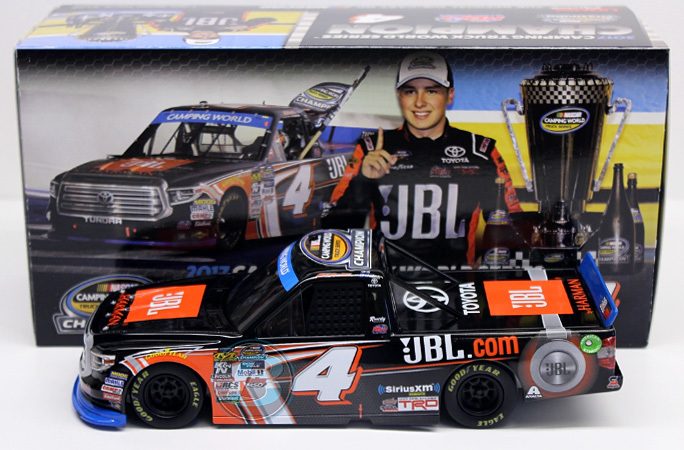 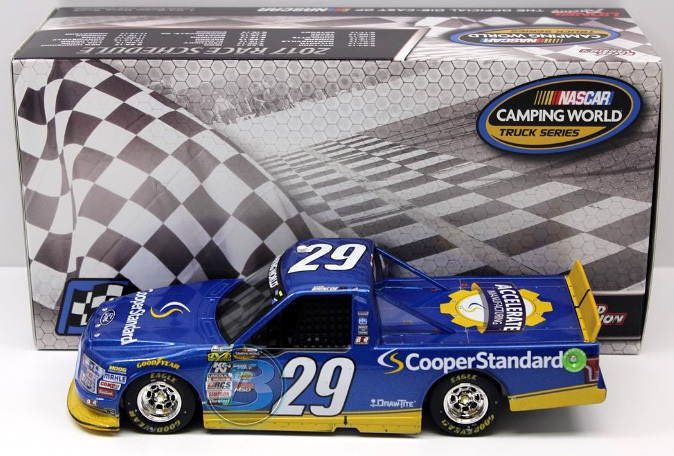 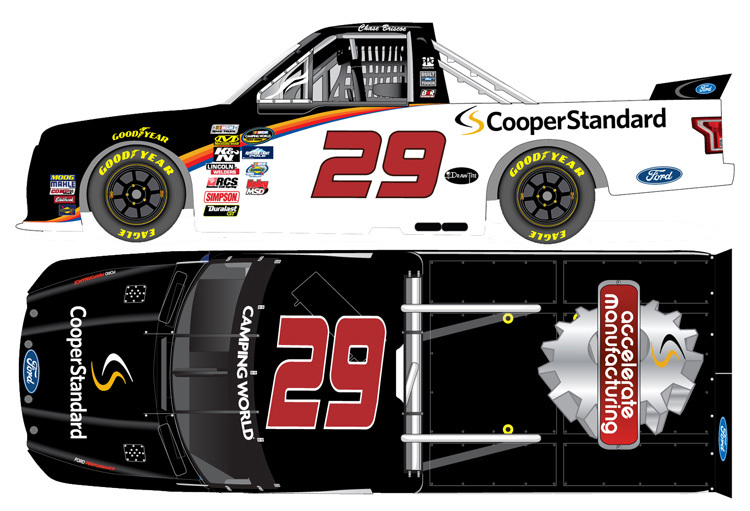 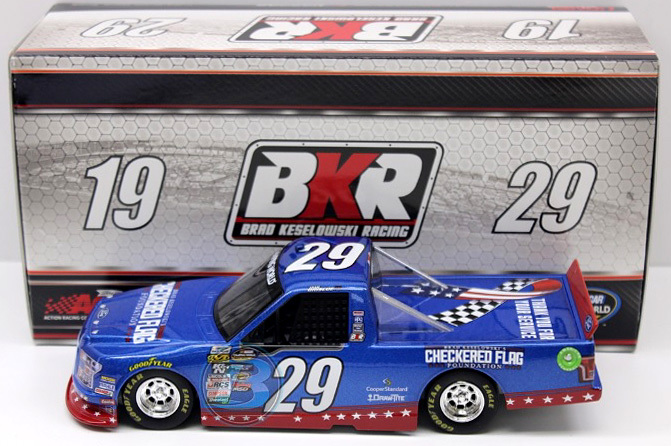 Each 1:24 scale also comes with a collector card, championship confetti, and ships in a custom window box. 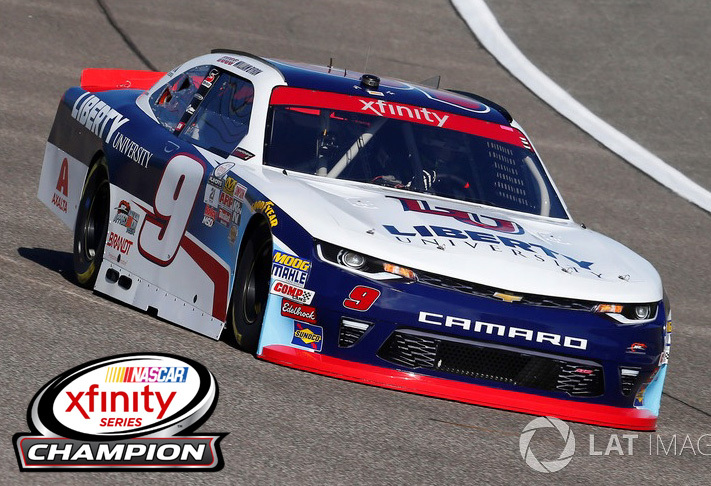 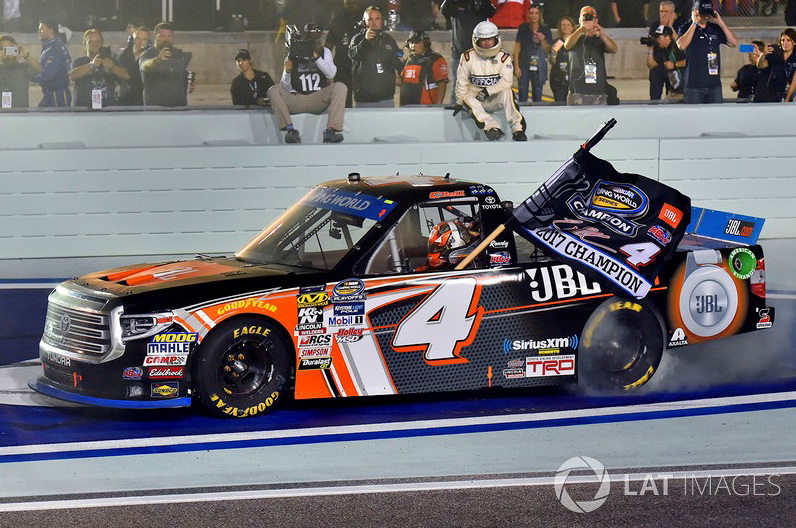 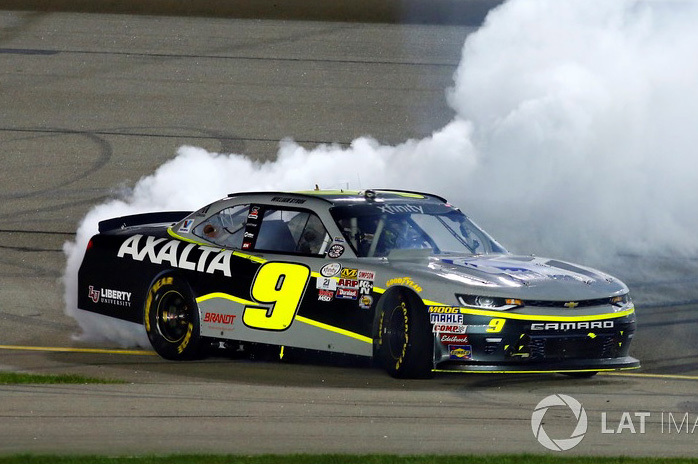 William Byron, the 2017 NASCAR xfinity Series Champion!